God and Time | J.W. Wartick -"Always Have a Reason"
Paul Helm is, in my opinion, one of the most lucid thinkers on the topic of God and Time. His Eternal God defends two extremely unpopular positions within Christian philosophical theology: 1) that God is timeless; and 2) that time is static (the B-Theory of time). Helm points out early in his book that the issue of divine temporality/atemporality is “underdetermined” in Scripture (7). This means it’s one of those fun issues that lies most squarely in philosophy of religion. And that is where Helm excels. Chapter-by-chapter he outlines a cohesive case for divine atemporality. Where Paul is most successful, I think, is in his rebuttals of arguments for temporality. For example, a well-known argument for temporality is that if God interacts in time, he must be temporal. Helm counters by pointing out that a precisely parallel argument could be constructed for God and space. Yet few Christian philosophers accept that God is spatial (49ff). While this doesn’t rebut the argument, it does point out something important: it doesn’t seem as though the conclusion (God is temporal) follows from the premise (God interacts in time) any more than it would if it were spatial (God is spatial/God interacts with space). There are many different accounts of divine timelessness, from Brian Leftow’s spaceless timelessness (see his work Time and Eternity) to relative timelessness, and beyond. Helm takes the much less popular route and takes the tough pill of saying that God created spacetime as a static bloc. This allows Helm to easily deny many of the arguments for temporality which stem from a-theory or dynamic time. But it also raises many problems. Foremost among these (in my opinion) is human freedom. For, on the B-Theory of time (static theory), everything which will ever happen, has happened, and in a sense exists. As we go from moment to moment, we’re really just passing through a bloc of spacetime, we aren’t literally moving through a present. Presentness is a subjective phenomenon, given static/B-theory. It’s just our perspective. So where does human responsibility and freedom come in? Helm here turns to compatibilism. He freely admits that timeless creation entails determinism (170). Thus, he denies that humans have free will in the libertarian sense. But this, he argues, does not undermine human responsibility. I don’t think I can do justice to the nuances of his argument, but the basic idea is that Helm argues that just because past actions/events determine our actions in the future, that doesn’t mean that we aren’t responsible for what we do. As I said, this is a really, really watered down version of his argument, but I think this is one of the weaker points of his work. Why? Because the idea of responsibility simply does not make sense on determinism, particularly when it is theistic determinism. For consider the idea proposed here. God has created all of time and space as one bloc. Thus, everything I do or have ever done was created by God once he brought the universe into being. Literally, everything I did, I do because God created the universe such that I would do x. So how could it be that I am responsible for doing x, if I never chose to do x. I simply do x because I have to, I have “already” done it, on the static theory. If I could create a time travel device, I could travel forward in time and see myself doing x, and could not prevent it, because God created the world such that I would do x. But the core of responsibility is that I chose to do x. While we punish people for things they do by accident (vehicular manslaughter, for example, or accidentally breaking a window), these things still resulted from prior choices (playing baseball near breakable window/driving carelessly). I simply do not see how any account of responsibility could make sense unless someone can choose to do what they do. There are several different positions about divine temporality/atemporality. Helm swallows the hard pill of going with the static theory of time to ground his divine atemporality. This, I believe, grants his account extreme philosophical plausibility. If God created the entire universe as a space-time continuum (I’ve always wanted to use that phrase from Star Trek! ), then there’s no reason to suppose God would be affected by time. It’s ontologically outside of God, and all of his interactions already have taken place. While I’ve already pointed out some of the problems with this view, these problems are not with the coherence of the view but with the theological nature of it. Thus, I think it possible to say that Helm has adequately defended a position of divine eternity. It would be impossible to cover everything of interest in such a comprehensive look at the topic of divine timelessness. Helm analyzes an extraordinary number of arguments in great detail. I cannot recommend the book more highly. Although I ultimately reject Helm’s second contention (B-theory), I believe his view is extremely coherent, and I can find little fault in it. Anyone interested in the issue of God’s relationship to time must read this book. It’s a book I think I shall re-read so that I can better grasp his arguments. Paul Helm, Eternal God (New York, NY: Oxford, 2010). One of my own struggles with Christianity as I began serious contemplation of its core doctrines is the doctrine of atonement. Specifically, I kept wondering how it is that Jesus’ death two thousand years ago could be used as atonement for my sins now. In order to overcome my difficulties figuring this out, I admittedly opted for a fideist type of approach and just assumed that God could do what He wanted, and if He wanted to forgive me because of something two thousand years ago, that was fine. More recently, however, I’ve been thinking about God’s timeless nature. I touched on these thoughts in my last post, but wanted to get into more depth now. Consider this: If God is timeless, then God’s existence occurs “all at once”; there is no sequence of events to God, only one eternal “now.” But then it follows that God the Son, Jesus Christ, is eternally crucified, eternally exalted, eternally reigning on high. What does this mean for atonement? At least in my opinion, it seems to make a lot of sense out of the idea that Christ’s death pays for my sins. 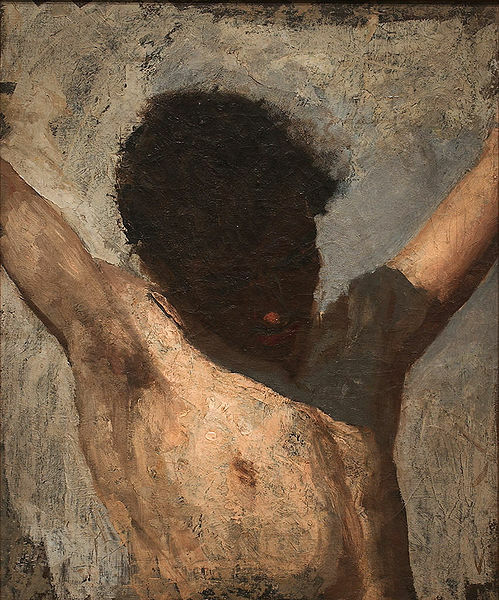 For there is no moment at which Christ is not suffering for my sins–a truly horrific thought. On the other hand, there is no moment at which Christ is not glorified with His Father in heaven. All of God’s experience occurs in an instant. It should be noted again that these considerations are not intended to imply that all events are “simultaneous” in a temporal sense of “occurring at the same time”; rather, they are simultaneous in the sense that from God’s perspective, they have occurred; are occuring; and will occur. All events are eternally present to God. Neither does this mean that God has no sense of the order of events. God’s eternal now sees events in order of logical priority as opposed to temporal progression. Therefore, God knows that one event (x) occurs “before” another (y) in the sense that x is logically prior to y; x had to occur for y to happen. But God experiences all events as “now”; as the changeless, immutable deity, He is eternally crucified, eternally glorified; eternally paying for our sins, and eternally forgiving us for them. At Communion today (Sunday), I was contemplating the implications of an atemporal God for atonement and justification. I was overcome with emotion as I thought deeply on the issue. As I was eating of the body and blood, Christ was being crucified for my sins; as my forgiveness was declared, Christ was rising. Powerful thoughts. I think divine temporalists (those who hold that God is temporal) still have to deal with the doctrine of atonement: how does a death thousands of years ago atone for me now? Those who hold God is timeless can answer this question sufficiently: Christ is paying for your sins. 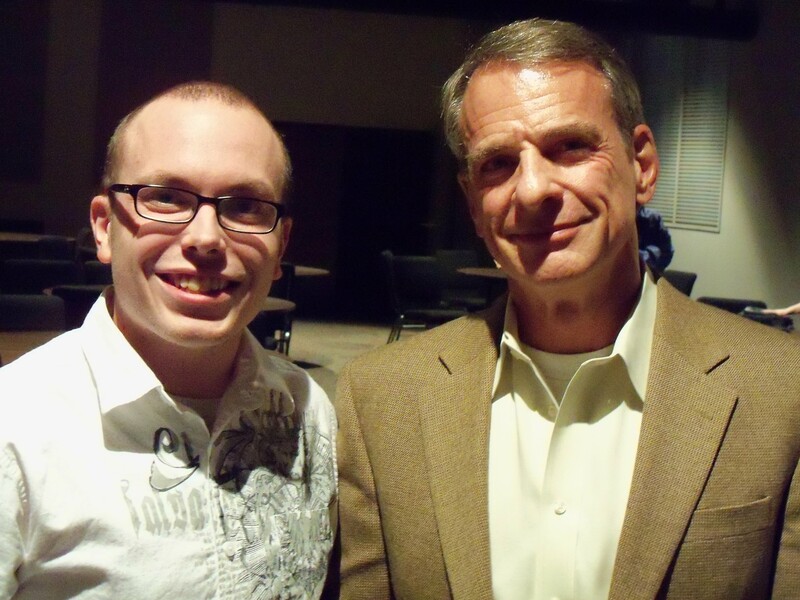 Over the past weekend, I was privileged to spend some time in Georgia (Atlanta area) at the seminar “God, Time, and Creation” with William Lane Craig (in picture next to me). It was part of a class of the same name for the Master of Arts Program with Biola University. The seminar was a blast. I took approximately 25 pages of notes. Craig’s lecture notes comprised about 440 pages. Awesome! The seminar focused on God’s relationship to time. Is God timeless, or temporal? Interestingly, Craig holds that God was timeless without creation and temporal subsequent to creation. His book, Time and Eternity, expands on the issues at great length. First, Craig covered the arguments for and against a timeless God. It seems like a timeless God is not philosophically untenable, and the argument for a timeless God based upon the idea of the imperfection of a temporal life has some plausibility. Then, Craig went over the arguments for and against a temporal God. After that, we covered the static (B-theory) of time–which holds that all of time and space is a kind of 4-dimensional block–and the dynamic (A-theory) of time–which holds that temporal becoming and passing away is real. It seems that the B-theory of time is, at best, extremely counterintuitive. If the B-theory is correct, our feeling of passing through time is illusory. Further, the theological problems with the view make it really implausible. If time is static, then the J.W. from three hours ago is literally a different entity than the J.W. now, because each is a different “slice” of a four-dimensional “block” of time. So, for example, it would seem as though the J.W. now could not be punished for the sins of a past J.W.–they are, in fact, different entities. Therefore, the doctrines of atonement, justification, sin, etc. seem to be at best vacuous. So a static theory of time, I think, is very implausible for the Christian to hold. 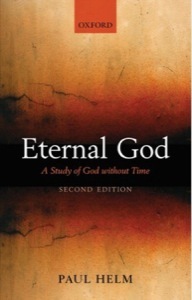 I’m reading through Paul Helm’s Eternal God: A Study of God without Time right now. He holds that God is timeless, and holds that time is static. I’m interested to see if he counters any of these theological issues. Craig concluded that without creation, God is timeless–there is no change. But once God created, He underwent at least an extrinsic change, which Craig argues means God is temporal subsequent to creation. This is one of the few areas I disagree with Craig on. I actually think it is more theologically plausible to hold that God is timeless, period. The main problem with this view is that many argue a timeless God entails a static theory of time. If I find on my further study into the area that this is the case, I may be forced to abandon the view that God is timeless. Therefore, I’m looking forward to delving into greater detail on this topic. I’ve read Brian Leftow’s Time and Eternity and found it extremely interesting and thought-provoking. Craig is highly critical of Leftow’s view and charges that Leftow makes category mistakes throughout his work. As I said, I’m also reading Helm’s Eternal God, so I’ll see how that holds up. This is a very interesting topic which affects the core of study about the nature of God, how God relates to the world, divine providence, and many other areas. I’m excited to continue my research in this area. On a side note, the Atlanta area is pretty awesome to visit! The weather was gorgeous. It isn’t that much fun driving there, however. I visited a Christian Bookstore in the area–Lifeway Christian Bookstore–which had a huge sale on CDs. I couldn’t resist picking up some more Christian music (5$ cds!). It seems to me that there are few matches better made than the doctrine of Divine Timelessness and Molinism (aka Middle Knowledge). I think they truly are a match made in heaven, for God Himself possesses both of these attributes/properties. First, some definitions. God is timeless, which means that “God exists, but exists at no time” (Leftow, xi). Middle knowledge is God’s knowledge of counterfactuals (simplifying the case to some extent here, see Thomas Flint’s discussion in Divine Providence: The Molinist Account). Jointly these propositions serve as explanations for a number of phenomena of Christianity. First, human freedom and divine omniscience is a problem curtailed jointly by these doctrines. Timelessness solves any kind of potential incompatibility by simply denying that omniscience is foreknowledge. Instead, it is simply knowledge, known all at once in one “instant” in eternity (Leftow, 246ff). That which is not in time cannot determine things “ahead of time”. Molinism, on the other hand, can also deny any incompatibility by asserting that the counterfactuals of God’s knowledge are not under the control of God. In other words, God has no control over whether or not Jenny will freely choose to go mountain climbing. God can control the circumstances in which Jenny is placed, and then bring it about that some other counterfactual would be true (i.e. Jenny does not go mountain climbing because she stays home to nurse her ailing goldfish). But this control over circumstances does not entail control over choices. The choices remain free (Flint, 11ff). Now, one objection to Molinism is that because God decides which circumstances in which to place Jenny before the creation of the world, he still is determining what she will do because he picks from the circumstances. But this is not quite the case. Jenny’s actions are not determined, but some of the circumstances in which she is placed are. This doesn’t preclude her free choice, however, for God only controls the situations Jenny will encounter, while her free choices remain outside of His control. Timelessness is sometimes denied due to a perception that a timeless God could not have meaningful interactions with His creatures. This does not seem to be the case however, once one analyzes exactly what timelessness entails. Leftow argues convincingly that timelessness can be thought of as, in some sense, a parallel “time” during which all things happen at once, though not simultaneously. The relationship of successive temporal instants can be thought of in some ways as similar to logical priority. If a timeless God has middle knowledge, furthermore, then God can indeed have “real” interactions with creatures, because He, in eternity, all-at-once performs the creative, providential act. This includes the situations in which His creatures will be placed. Thus, by His creative act, He sets the situations in which He will interact with His creatures, and this action is a true interaction because He factors in their free choices and takes such things into account. Furthermore, the objection that God’s interactions are diminished because they happen “before” the interaction occurs is a specious claim, for if God is timeless, then none of His actions occur “at a time” other than in Eternity. Therefore, it seems to me that jointly, a molinist account and a timeless God make quite a lot of sense. This is not to say that there are no other accounts of God that make sense, but this is part of the interest of philosophy of religion, after all, particularly among Christians: the dialogue, the interaction with the Biblical texts which perhaps speak to each issue, and the different conclusions which can be drawn. These differing conclusions do not take away from or destroy the validity of our faith, rather, they ensure that we delve ever deeper, striving for an understanding of the divine Godhead. Leftow, Brian. Time and Eternity. Cornell University Press. 2009 (reprint). Thomas Flint, Divine Providence: A Molinist Account. Cornell University Press. 2006. God’s relationship to time is a topic of vast philosophical import. I can honestly say I didn’t even know it was so hotly debated until very recently. The topic has served to show me once again that the more I read, the more I learn, the more I will realize I have so much more to learn. So why the heated debate? What are the sides? How do we research such a topic? 2. God is temporal (or, keeping with the trend of listing God’s attributes as the omni-‘s–omnitemporal)- on this view (usually), God existed timelessly before the creation of the world, but is temporal once time and the world have come into being. “God co-exists only with the present moment or ‘now.’ He is eternal in the sense that He endures forever” (Craig, 77). Why the heated debate? Again, it may be surprising that I have never been attuned to this debate once the implications of God’s relationship with time become clear. Indeed, God’s relationship with time is almost basic to any understanding of God’s attributes. God’s omnipotence, omniscience, etc. will be entirely different if God is temporal as opposed to timeless and vice-versa. How so? Let’s look at just one example. Take the conjunction “God is omniscient and omnipotent” (hereafter O). Now, if God is temporal, O seems to have a few problems that need working through. For if God is omniscient and temporal, then He knows in advance what He is going to do, which seems to limit God’s power, thus making O seem unlikely. However, if God is timeless, then He doesn’t really know anything in advance, He just knows all things tenselessly (in other words, He knows things in advance from our, temporal view, but because God is outside of time, such temporal terms simply do not apply to God). This means there is no limit on God’s omnipotence because such a problem relies on a tensed, temporal view of God (there is much more to be said on this issue, but I am simplifying it for the sake of an example). Further, any view on God’s relationship with time will also involve God’s relationship with His creation. Thus, it seems extremely important to develop a view on God and time, which is exactly what I intend to do in this series of posts. I will be exploring the issue by looking through Bible passages which discuss God and time, by reading books and articles on the subject, and by condensing my studies into posts. Craig, William Lane. Time and Eternity: Exploring God’s Relationship to Time. Crossway. 2001. Leftow, Brian. Time and Eternity. Cornell University Press. 1991.